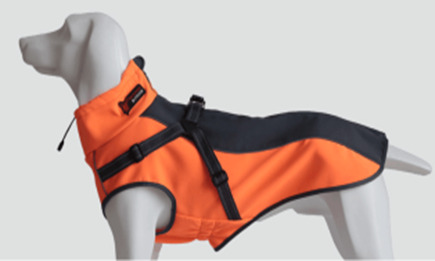 Well crafted 100% polyester dog jacket with inbuilt harness. 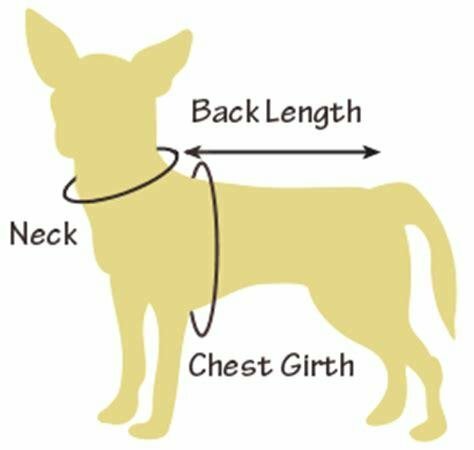 The jacket slips on from the front with a soft collar that can be adjusted by a drawstring to keep the warmth in for your pet. 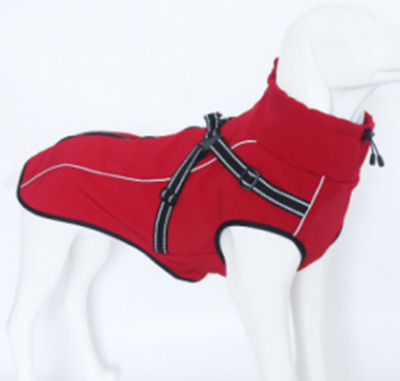 The jacket has a heavy duty zipper that does up to close the jacket around your pets back with an elastic strap to go around each back let to secure the jacket in place. 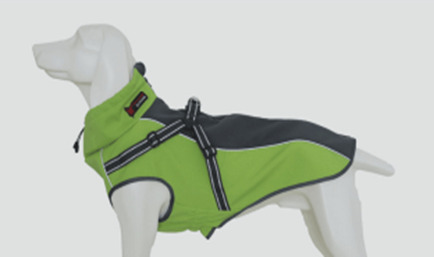 The harness is stitched securely to the jacket with adjustable straps and a metal ring for your lead to attach. 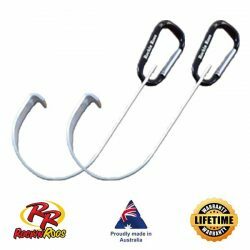 Jackets are machine washable in cold water but would recommend putting them in a delicate laundry bag to avoid damage to clips. Jackets come in 4 colours: Orange, Black, Red and Green. Jackets are very generous in size.